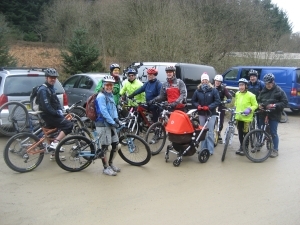 The March LMC bike meet held at LLandegla Forrest was a great success thanks to a good turn out of 14 members, twelve bikes, one pram complete with baby and a mother to push it! 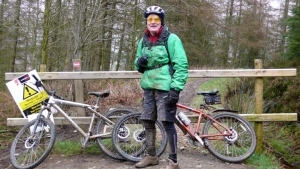 The weather was fine but cold and the track was rather muddy, see photographic evidence. 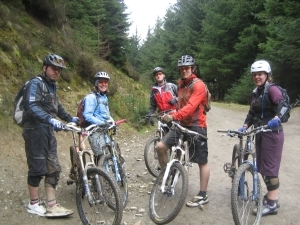 Blue, Red and Black trails were sampled at various speeds and all members returned unscathed from their adventures. 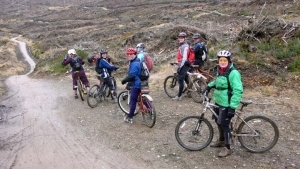 The hot chocolate and gossip of the cafeteria was sampled by all prior to departing for pressure washes and hot baths as appropriate. 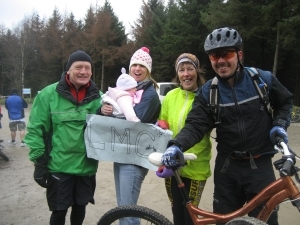 Thanks to all who attended and congratulations to Jessica on the survival of her first LMC meet without being 'Tooned'.